Seemingly there are few animals if any who escape the cruelty of human beings. Please watch the video and take action to help stop the killing of mountain hares. This year thousands of these gentle animals were massacred over a period of three weeks as whole mountainsides are cleared of these beautiful animals. This has to stop, what right have these people to take the lives of animals who have as much right to their lives as the people who kill them. Hares like all creatures share this world with us, like all sentient beings they wish to live and to live as nature intended, unmolested, not brutalized maimed and slaughtered by a vile predator simply because they are deemed in convenient. Their presence is considered a nuisance to only a small percentage of the usually well off over privileged, and most certainly insensitive and callous, minority with sociopathic tendencies. Their pathetic excuse is that the hares are killed to improve red grouse numbers. Why you might ask, certainly not from a fondness of grouse, but simply because they want more of these tiny birds to shoot this season – August 12th. Sickening! “This is the grim, brutal reality for mountain hares in Scotland, exposed in a new investigation by OneKind, League Against Cruel Sports and Lush. Take action now! Take this one small action to make the world a better place for all creatures , all that is required is for you to add your name. Please share widely. Another 1500 or so signatures required to reach the target of 10,000, but even more would be good of course. This brutality towards helpless animals shames us both as a species and as a nation and should be stopped. The well-off upper classes and equally affluent tourists come to Scotland, and indeed the rest of the UK, with the purpose of killing defenseless animals including grouse, pheasant, deer and of course hares. The fact that governments do little to stop this is disgusting, it is time such barbarity and the encouragement of violence for sport or indeed any other reason should be consigned to history where it belongs. It is time we asked the questions: What is wrong with the mentality of people who find pleasure in killing an helpless animal? Should we as a nation allow this to continue? Why isn’t this barbarity and cruelty recognized for what it is, the sickening violence towards a weaker species with whom we share this world. No wonder there will never be peace in the world while governments allow their citizens to indulge in violence and cruelty to animals as though it is some kind of birthright. Time to end the killing of these creatures, all killing, no licenses for anyone for any reason. Time not only to end mass culls but all killing of defenseless animals. No Killing full stop! Not one single hare should die for any reason. We have no right to take the life of any creature, it is not our world, we share it with millions of other species. Life is life–whether in a cat, or dog or man. There is no difference there between a cat or a man. The idea of difference is a human conception for man’s own advantage. I would like to add to the above quote that there is no difference between a Grey squirrel’s life and that of a Red squirrel – not to the squirrels that is. 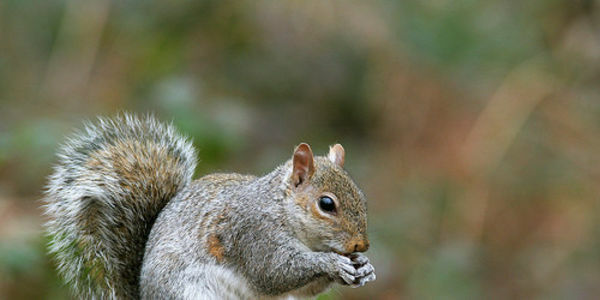 “Urge the Wildlife trust to seek out alternative methods to save and protect the Red Squirrels, a method that does not involve the destruction of the Grey Squirrels by bludgeoning them to their death! You may wish to contact the Wildlife Trust and ask them to find an alternative method to save and protect the Red Squirrels, which will not involve killing Grey Squirrels. Please write, telephone,Tweet and leave a message on their Facebook page. Please be polite. I prefer not to use the word cull: slaughter, kill, massacre or murder seems more appropriate . Yes I know grammatically speaking you can only use the word murder in reference to human beings. Ignoring such rules here I use this word and the others as they are more descriptive of what is taking place to animals, in this case Grey squirrels who have as much right to life as you or I or any other of the millions of species who inhabit this planet! Bludgeoning them to death no less is an appalling act of cruelty which caring sensitive people should not tolerate. I have to wonder what type of person will volunteer to bludgeon to death helpless Grey squirrels. Not the sort of person I would wish to associate with that’s for sure. Violence breeds violence, any such cruel act to an animal increases the possibility of violence to humans and escalates the misery that abounds in the world. One also has to ask what kind of education they will be providing children with reference to eliminating Grey squirrels! Again not something I would want a child of mine exposed to. What people who propose such barbarity do not understand is that to a squirrel his or her life is as import to them as ours is to us, either that or they simply do not care. What right have we humans to control the environment, to decide which animal should live and which animal should die. Whether it’s the slaughter of badgers in a misguided attempt to control Bovine TB or the massacre of grey squirrels to protect red squirrels it is simply not our right, leave nature to take its own course. 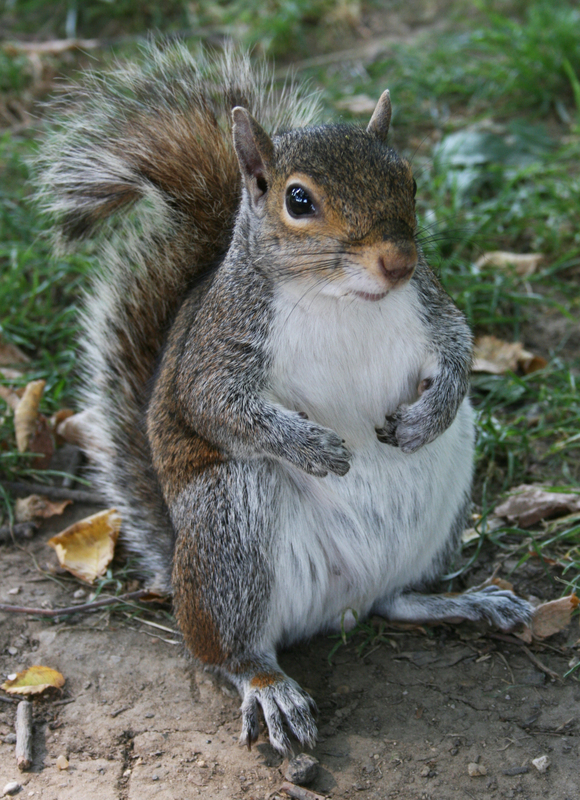 “The North American grey squirrel was first introduced to the UK in 1876. If you live in the UK, you’ll be well aware of how vilified the grey squirrel is here; it’s been accused of a multitude of sins, from almost wiping out the native red squirrels to killing trees by stripping away the bark. 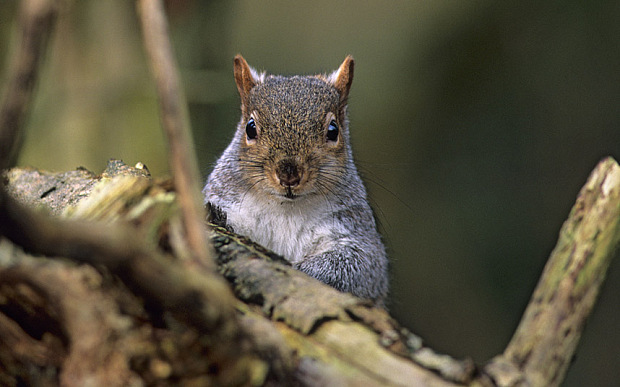 Much as I love grey squirrels, I always assumed the accusations were true; it seemed that the squirrels’ destructiveness was a consequence of their introduction into a region where they didn’t belong. Below is a guest post by the animal and human rights activist and free software supporter Luis Leonel. ALMOST 700 KOALAS HAVE BEEN SECRETLY KILLED BY LETHAL INJECTION near Victoria’s Great Ocean Road and thousands more are in danger of starvation due to an ongoing crisis caused by overpopulation in one of the nation’s key habitats. 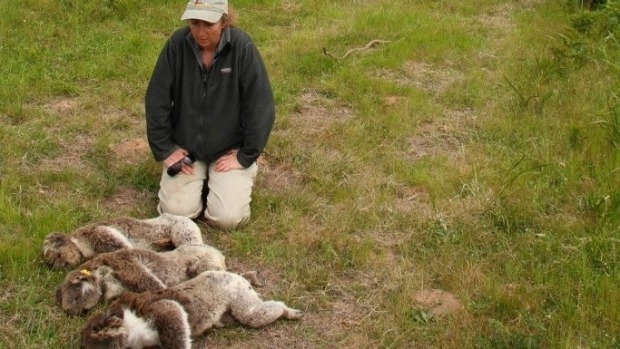 The Australian can ­reveal that wildlife officials conducted three euthanasia operations in 2013 and 2014 to kill 686 koalas, in what was a covert campaign to avoid any backlash from green groups and the community. Why couldn’t the Koalas have been moved? Dr Whisson said moving the population to other areas or conducting fertility control programs were expensive options. Why don’t they kill hungry humans if death is a solution for starvation? Shame on them. More squirrel photos further down. What right has anyone to kill another species or rather systematically massacre other animals? If this happened to human beings it would be called genocide. I don’t like the word cull it has a tendency to mitigate the atrocity for what it is, the organised murder of another species. As with the Badger cull due to commence once again in the spring such action has no basis in morality. What right has the human race to consider itself Lord of all the earth with the right to kill and manipulate other species as we see fit. Furthermore it is an outrage that millions of pounds of tax payers money will be handed over to already wealthy landowners to massacre these defenceless animals while other members of our society reply on food banks, spend winter in cold homes as a result of huge heating bills, struggle on low wages or much reduced benefits,… well I could go on, social injustice here in the UK seems to get worse and worse. Most Tax payers would not want their money to be spent on the killing of these much loved animals. 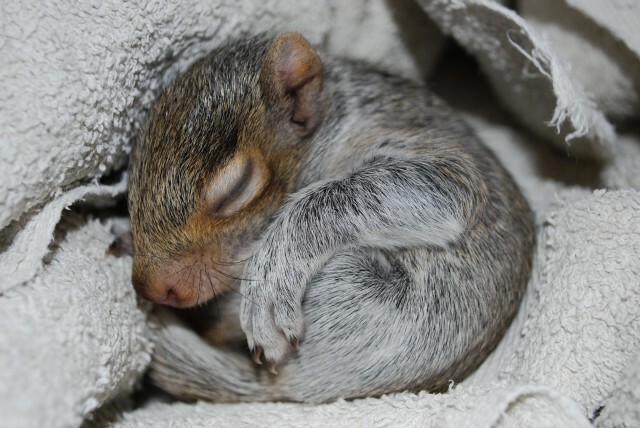 Though not indigenous, brought here from America in the 19th century by the British banker Thomas Brocklehurst who released a pair of grey squirrels on his land, they are now part of our countryside and 5 million of them are here in the UK. It has happened and it cannot be undone. Most importantly this tiny mammal is a living being with as much right to life as you or I. 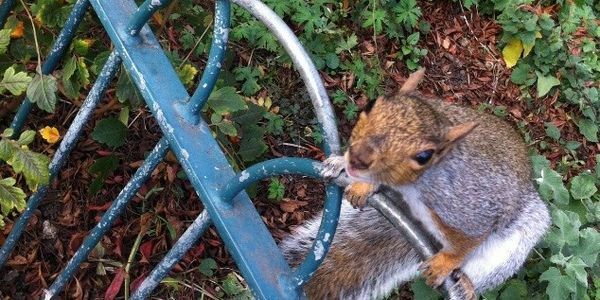 The old cliche applies here: two wrongs don’t make a right… The anti-grey squirrel campaign is deeply rooted conservatism masquerading as environmentalism, in which cruelty to animals is justified on the basis that it will provide some sort of as yet unseen benefit to another, smaller group of animals. A selection of squirrel photos. I have to ask what kind of person can kill such a beautiful animal, I find the cold callous calculation to wantonly kill any creature beyond my comprehension. I am not responsible for any of the advertising that may appear on this blog.